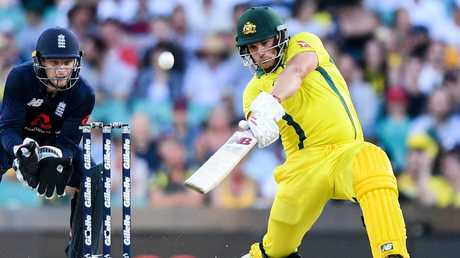 AARON Finch will spearhead Australia's white-ball teams after being named the new ODI captain. 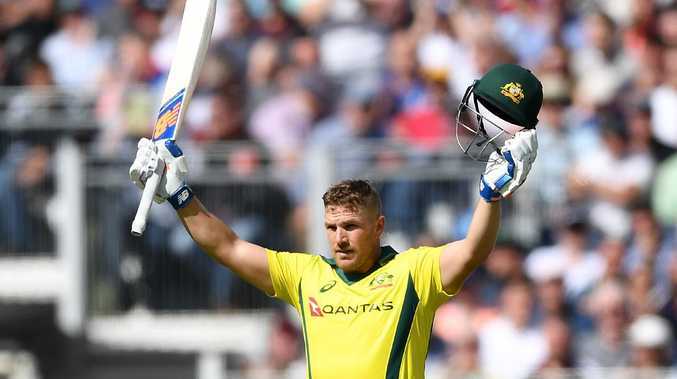 The batsman, who is already the T20 captain, will replace Tim Paine in the top job in the one-day format ahead of next month's series against South Africa. Finch was told the news in Dubai ahead of Australia's second T20 clash against Pakistan. "It's very exciting. I'm very humbled, very honoured to lead the side and lead Australia," Finch said. Finch said it was critical to have a bowling influence among the leaders to give Australia a well-rounded view. "I think it's really important to have the voice of the bowlers there as well," he said. "A lot of the time batters are in leadership roles and bowlers are neglected in terms of that and it's almost an us-versus-them at times. "It's very exciting for Josh and I can't wait to work with him." Finch will lead a 14-man squad for the series, which starts in Perth on November 4. The squad for the series was named on Saturday and features a star-studded bowling attack that includes Hazlewood, Pat Cummins and Mitchell Starc. "I think the squad we've got for these upcoming games against South Africa is very promising," Finch said. "There's a few new guys back in the side after a while. It's great to have Chris Lynn back and guys like that who can make such a huge impact (as well as) Josh Hazlewood and Patty Cummins. Finch is already Australia’s T20 skipper. "They're all quality bowlers, world-class bowlers, so to have them up and running and firing I think is really exciting for Australian cricket." The match was marred by a controversial run-out decision that dismissed D'Arcy Short in the third over that left captain Finch fuming. Finch says the team can't wait to get back on home soil. "I think it's going to be outstanding," he said. "Obviously it's been a hard tour here in the UAE with the heat and the time we've been away. "To get back home though and kick off the summer with South Africa, India, Sri Lanka, it's going to be jam-packed. It's very exciting for all forms of cricket." Shaun Marsh's twin centuries in England proved enough to save his spot despite a dire Test series in the UAE, while Glenn Maxwell and Travis Head have also been named. Mitch Marsh and off-spinner Nathan Lyon are the notable omissions. "We have made the decision to manage Mitch Marsh and Nathan Lyon carefully to ensure they are in the best condition possible to put their hand up for selection either later in the summer or the World Cup next year," chief selector Trevor Hohns said. "No doubt with a big summer program ahead, opportunities may well present themselves for Andrew, Mitch and Nathan, as well as others not included in this squad." Aaron Finch (capt), Shaun Marsh, Travis Head, Chris Lynn, Glenn Maxwell, D'Arcy Short, Marcus Stoinis, Alex Carey (vice-capt), Ashton Agar, Mitchell Starc, Josh Hazlewood (vice-capt), Pat Cummins, Nathan Coulter-Nile, Adam Zampa.